Here’s the skirt (inside out), which had no hem. 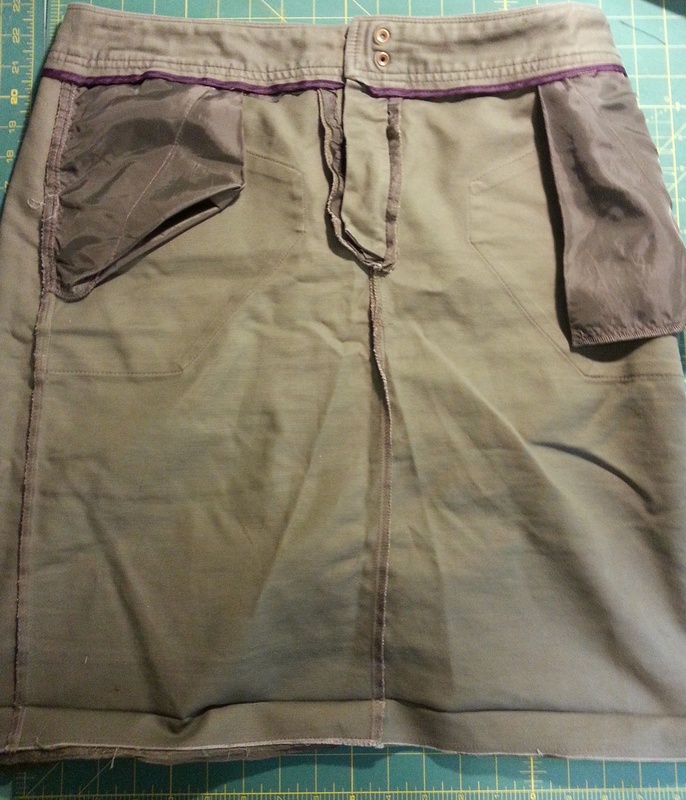 The skirt previously had a lining. 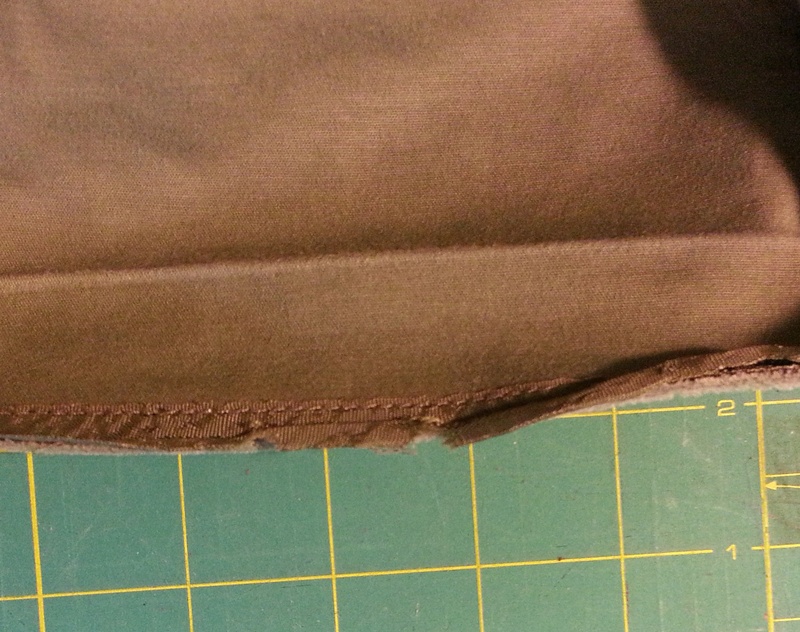 When the lining was removed, the hem dropped because it was been held in place by the lining. 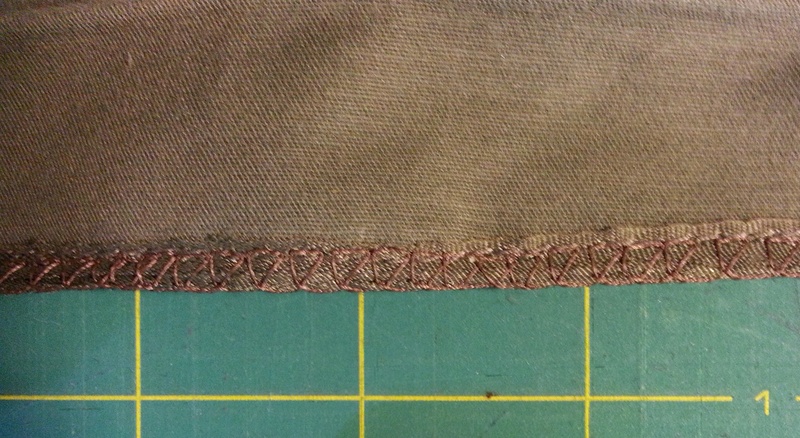 … So I used a binding stitch to make it neater. Then it was time to do the blind hem. Of the videos on YouTube that show how to do blind hems, this is the one I like the best so far. It’s short and easy to follow. How To Sew A Blind Hem Stitch – YouTube. Here it is! The hem is almost invisible. And it might have been *actually* invisible if I’d used thread that was the exact shade of the fabric.